Today, 10/9, get 40% off your entire order and FREE shipping from Coldwater Creek! Use the coupon code FALLDEALS to get the deal. This includes sale and outlet items. 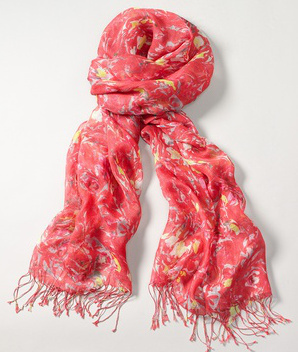 You can get the cute scarf pictured above for $10.19 shipped! Items are selling out so if you see something you want you should go ahead and grab it.